Beautiful home in Old Bridge Subdivision over looking the golf course. 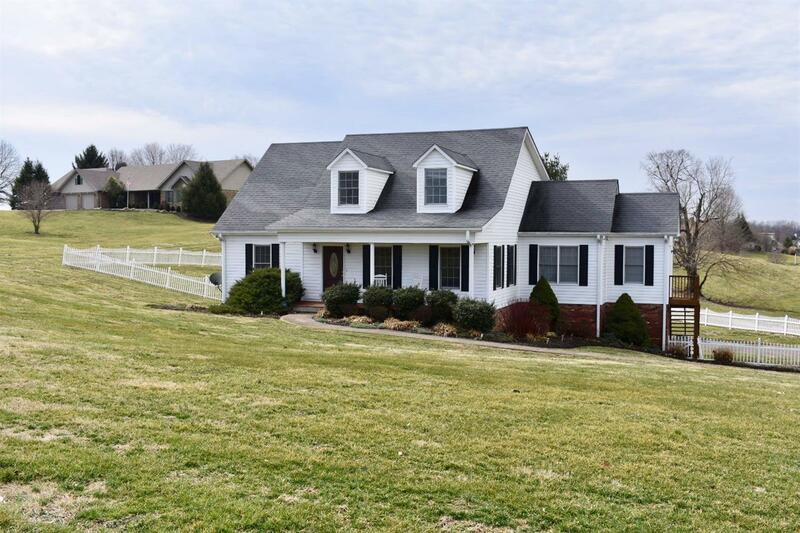 You must see this home, 4 beds 2.5 bath, over 2500 square feet, and 1.6 acres at an amazing price! The first floor features master suite, living room, formal dining room, kitchen with breakfast room, 1/2 bath, and spacious laundry/mudroom! The second floor features 3 bedrooms and a full bathroom. The basement has a large Bonus/ Recreational room and an oversized 2 car garage with a storm shelter and extra room for a golf cart ! The back yard is fully fenced with low maintenance white vinyl fencing. Windows and 30 year dimensional shingles installed 2010. Fresh paint, stainless steel appliances, hardwood floors and carpet in 2017. This home has been so well maintained it won't last long! Professional photos coming very soon! But don't wait, call today to schedule your showing!! Miscellaneous: Basement, Foyer, Master Bdrm 1st Flr.,Rec Room, Bonus Room, Separate Utility Rm.